FUN BRAIN TRAINING Our memory gets worse as we get older, and some of us will even develop cognitive disorders. What better way to prevent this than through a fun, user-friendly app? 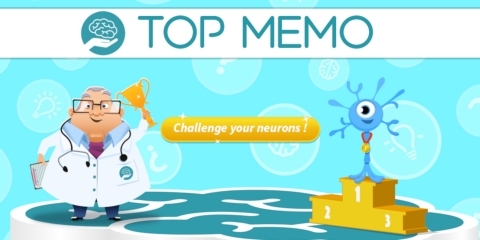 Working together with Dr. Vassart, MD, and researchers from the Université catholique de Louvain (UCL), we’ve created Top Memo: an entertaining brain-training program that will help you boost your cognitive performance and your memory. Unlike other commercially available games, Top Memo allows you to benefit from a personalized medical follow-up by your attending physician, who will evaluate your performance online, making sure your brain stays fit and healthy. Do not wait until it’s too late. Begin the Top Memo program right now for a better life.